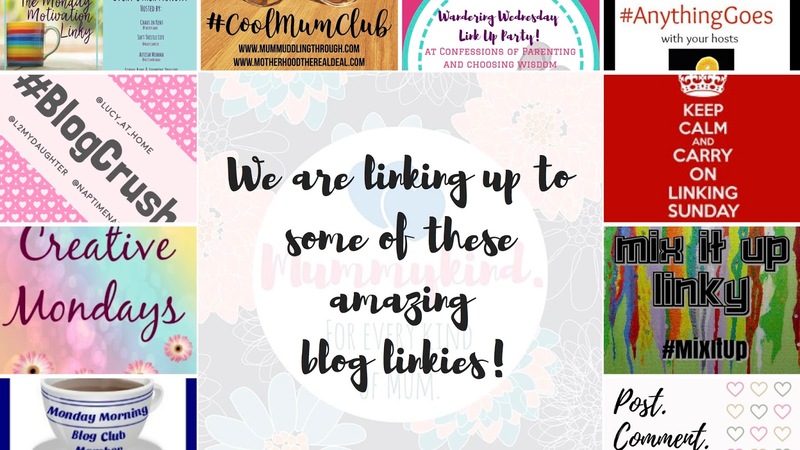 After we did a trial run of the Daddykind Corner with my lovely husband putting up with me interviewing him for the sake of the blog and for all of Daddykind, we present to you…. I am very pleased to introduce our good friend Darren, who has had his fair share of mental illness and has some good techniques and tips for bringing your children up aware of mental health and how to take care of it. 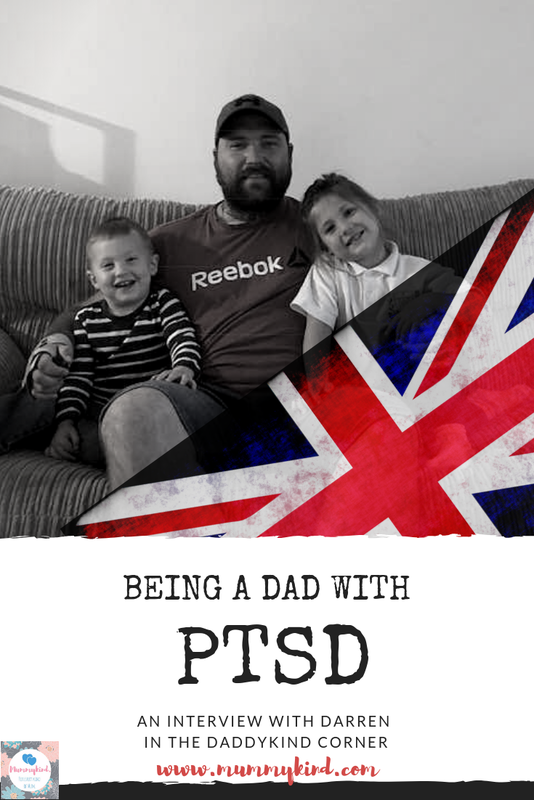 Darren uses his own experience to coach other men through mental health problems and other mental blocks, so he’s pretty qualified to share his thoughts on how you can move on from mental illness and be the best parent you can be. I’m so thrilled to feature this post from Darren because we all know how dire mental health provision is and how badly it affects men in particular. Please if any mums or dads are reading this and think they need help, contact your GP, the Samaritans or your local out of hours team if you feel you are in crisis. Yes, of course. My name is Darren, I am friends with Sarah through her husband, Jamie. I served in the military with Jamie for 15 years and was posted overseas on many operations. I was born and raised in the East End of London and I currently coach other men on mastering their emotions. If you had to describe being a father in one word, what would it be and why? If I had to choose 1 word it’d be “uncertainty” because I find I’m alway asking myself if I’m doing the right thing for them… whether that be by way of teaching and helping shape their little minds or disciplining them and training them to be good, honest, hardworking people. All that with making sure that they truly love themselves and KNOW from their core that they are worthy to achieve anything they want in life… No one said this parenting game is easy, aye? How was your mental health after becoming a father? I thought my mental health was fine… I was they happiest man in the world after my little girl, Evie was born…. However my wife at the time was suffering with and subsequently diagnosed with PND, which wasn’t easy at all, as I couldn’t understand why she was so unhappy all the time. Were things different the second time around? Oh massively… I’ll be honest and say that I never wanted a second child because I was so in love with my little girl that I couldn’t fathom having to share my love with another baby and I didn’t think it would be fair… I honestly didn’t think that I was capable of loving Mathew in the same way as Evie and subsequently it took me about 3 months to truly bond with him. Looking back it make me sad because I saw him as a burden. But now I understand that you don’t have to love them in the same way as your first and my heart literally melts every time I see him now. Did you feel prepared for fatherhood and what could have helped you to be more prepared? You can read all the books in the world, go to all the classes but I don’t think that anything will ever really prepare you for fatherhood. I think that as a dad having a positive male role model in your life can definitely put you in good stead to being a dad, and I never had this, which is why I do my absolute best to be the best man I can be for them because I know the importance of having both parents that want their babies to have the best start in life. When were you diagnosed with PTSD and BPD? y military service in 2017 and subsequently discharged as a result and after using the techniques and procedures to keep on top of it I still knew that something was up with me and since have been diagnosed with BPD earlier this year after a friend opened up about her struggles it was like shinning a light on what I was going through. Whilst growing up, I was a bit of a wild child to say the least and was in and out of care, excluded from school, engaged in dangerous or outright illicit activities at times and had a tough upbringing in East London, so I’ve always known that I’ve struggled with my emotions… something that I’ve got a grip of nowadays (for the most part). But as I grow, evolve and become more self aware over time it’s got to the point where I can’t ignore my problems and my advice to any other men reading this is: do not bury your head in the sand, just be honest with yourself… if you need help then go and seek it because drinking, fighting, drugs, being promiscuous etc etc will only lead to further problems and is just masking the true underlying issues. What techniques do you use to manage your mental health? There are many that you can use but finding what works for you is paramount. As a man, one of the biggest things that has helped me has been simply talking to a professional within the specific mental health niche. Because I bottled it up for so long there is only a certain amount you can take before something has to give. As I said, knowing yourself is also key… knowing what your triggers are and how they make you feel is also very important so you can counteract them…eg: being a massive introvert (most wouldn’t believe it lol) if I can feel myself slipping back into a rough patch…spending time alone in nature, on my motorbike, by the water really helps me to connect with myself again… it also helps to have a purpose and a goal in life and something to work on that requires discipline and focus. I find that whatever I focus on tends to expand so it’s about knowing how and where to shift your focus. How has your understanding of your own mental health impacted on being a parent? It most certainly has made be more aware and I listen more to my children… I’ll be honest I used to “Parent” my children and just try to get through the day making sure they are fed, watered and entertained. I now realise that it’s also key to flood their subconscious with positive affirming messages so that they love themselves. I just want them to be truly happy and not have to have a childhood they have to recover from. Who knows if I’m doing it right? One can only hope and time will tell. Do you think it’s important to raise your children to understand mental illness and how would you do that? I do think it’s super important that they know about mental health and more importantly that they take control of their own. I would certainly say that trying to go through life without any regrets is something I like to teach my kids… Whether that’s by always trying their hardest at something that they want to do and working hard for their goals or by simply being a good person and trying to never hurt the people around them or in any way compromise their integrity. Also, by always being true to themselves and NEVER letting the opinions of others define who they are…. I’ve always said that there is a date you were born and a date you die and that line in-between represents your life. So, I encourage them to think freely and live with passion and purpose. Lovely post. Sheds light on an important issue that must be addressed and discussed. Thank you for sharing it with the #itsok linky. What a great interview, some wonderful tips there on managing your mental health and I love the final quote. Thanks so much for linking up at #KCACOLS. Hope you come back again next time. Previous Post Dear Fellow Mama… We all NEED to let our hair down! Next Post The Trampolining Trend and Why it’s Actually Amazing!